Free # I Lost A Bet T-Shirt!! 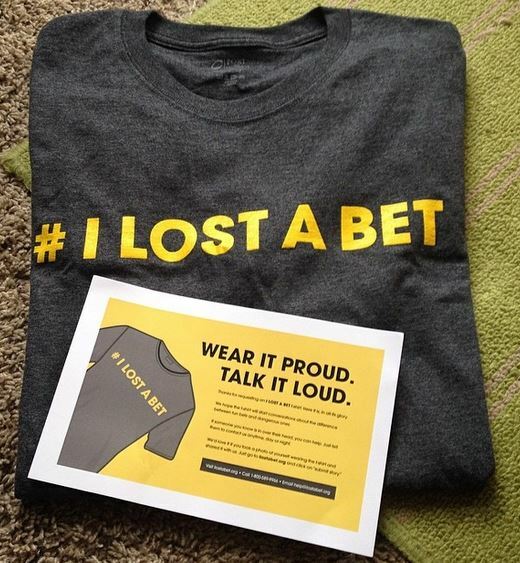 Start a conversation about problem gambling with a free, limited-edition I LOST A BET t-shirt. In exchange for your free shirt, you just have to share a Tweet or Facebook post. Start HERE! Offer limited to one per household. Please allow 2-4 weeks for delivery.